Product prices and availability are accurate as of 2019-02-23 22:14:00 UTC and are subject to change. Any price and availability information displayed on http://www.amazon.com/ at the time of purchase will apply to the purchase of this product. 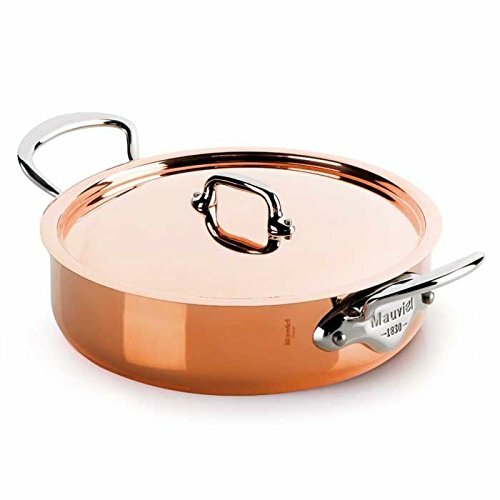 Mauviel Cookware: M'Heritage 150S Copper-Stainless Rondeau with Lid. The M'Heritage 150S Rondeau with Lid features 90% copper and 10% 18/10 stainless steel. Cast stainless steel handles. 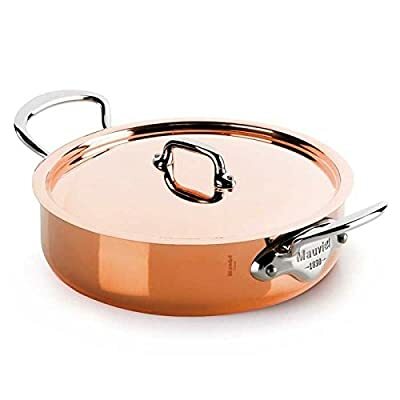 Features: High performance: Copper heats more evenly, much faster than other metals and offers superior cooking control Superior durability: Pans are 1.5mm thickness Non-reactive: 18/10 stainless steel interior preserves the taste and nutritional qualities of foods and is easy to clean - no re-tinning Copper cookware can be used on gas, electric, halogen stovetops, and in the oven. It can also be used on induction stovetops with Mauviel's induction disk (sold separately). Lifetime warranty: Guaranteed for life against any manufacturing defects. Made in France. Dimensions: 3.2 Quart - 9.44" Dia x 4.57" H; Weight - 6.50 lbs. 5.8 Quart - 10.90" Dia x 4.57" H; Weight - 8.50 lbs.